Antique (Period) lighting, 19th and early 20th Century furniture, large outdoor lanai with BBQ, screaming-fast internet (400 mb/sec WIIFI), easily walk to Old Hilo town, and complimentary beverage center -- culminating in very comfortable accommodations to our future and continuing guests from around the world. Disclaimer: Please read each photo description carefully to better understand our home and its unique qualities. 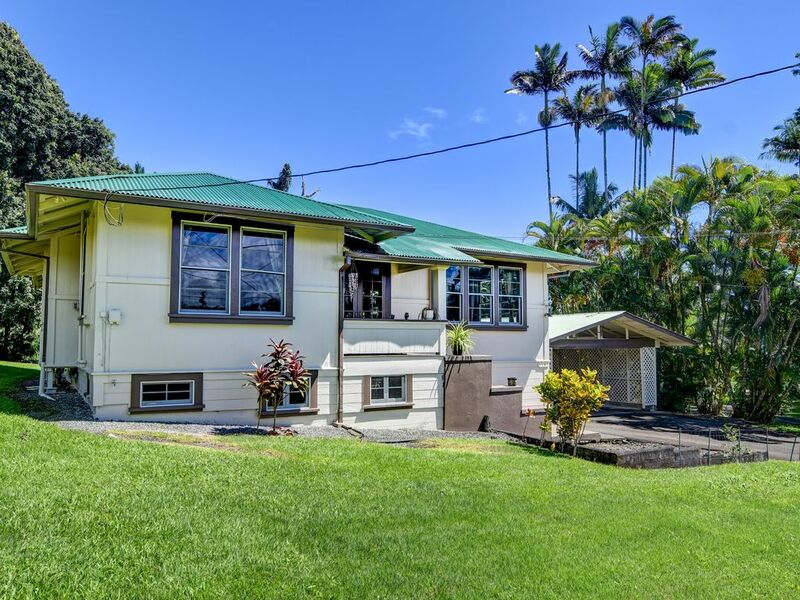 Beautifully appointed historic 1930's estate in close proximity to beaches, Botanical Gardens, Akaka Falls, and everything HiloTown has to offer! Walk to the Hilo Bayfront in only a few minutes from our home. Although walking distance to Hilo town, our diverse and unique neighborhood, Wainaku, has a country feel, with lots of historic homes; it's also quiet and very private. As we are on the magnificent Wailuku River, our property has a wonderful breeze at all times, and there are number of beautifully stunning bird species that make our property their home, too. There is also a family of very rare bat species, the Hoary bat, that reside in our 200 year old Lychee tree; please be cognizant of the weekly visits from scientists that survey, track, and take video of this rare and endangered mammal. Also to note: both adjacent neighbors are on 1 acre parcels, which makes our home very serene. Enjoy New King and Queen Serta beds and Belgian linens and organic cotton towels. Further amenities include organic shampoo and body lotion by Aveda, and locally handcrafted soaps from Pahoa. 55" LG OLED 4K HDR TV with 200+ HD movies on AppleTV, 400 MB/SEC WIFI, high-end snorkel/beach gear for kids and adults. Two coolers on wheels for BBQ'ing, and for taking on day outings. In the fully stocked Chef Kitchen you'll find a beverage center with spring water, iced tea, local coffee and a variety of organic herbal and black tea. There's also a variety of snacks awaiting you. Propane BBQ located in the large screened Lanai Room. Over 2700 Square feet of living space with a 3/4 acre yard to relax and enjoy your Hawai'ian getaway. Full access to home and large property. Self check-in · Easily check yourself in with the lockbox. A note on our rates: we are a registered business, and Hawaii County charges a room tax of 14.5%. The county taxes and the cleaning fee are reflected in our prices. Super busy Cardiac RN, doctorate program student, private chef/nutritionist, and massage therapist from California. We have been visiting other lands and cultures across the globe since the early 1980's, and always stay in private homes/villas/chalets, etc when we travel. Enjoy your stay, wherever your travels may take you! Mahalo! We love historic homes, and we have lovingly restored this home for our guests from around the world to enjoy! Great house...pictures are very good representation of the property. Owner is very fast with communication and has done a great job with this house. It is conveniently located with quick access to waterfalls and the National Park. Most destinations are just a short drive away with plenty of space at the end of the day for the entire family. The house has everything you need...large washer and dryer, refrigerator, grill, and comfortable beds. Highly recommend staying here if you are interested in exploring the island. You could easily split time between a Kona resort and Kevin's house to get a taste of everything on the Big Island.